There are several common turfgrass diseases that can affect and cause damage to a lawn in fall. Just like the human body, our grass can become stressed and unhealthy if not taken care of properly, or if specific environmental conditions persist throughout the year. 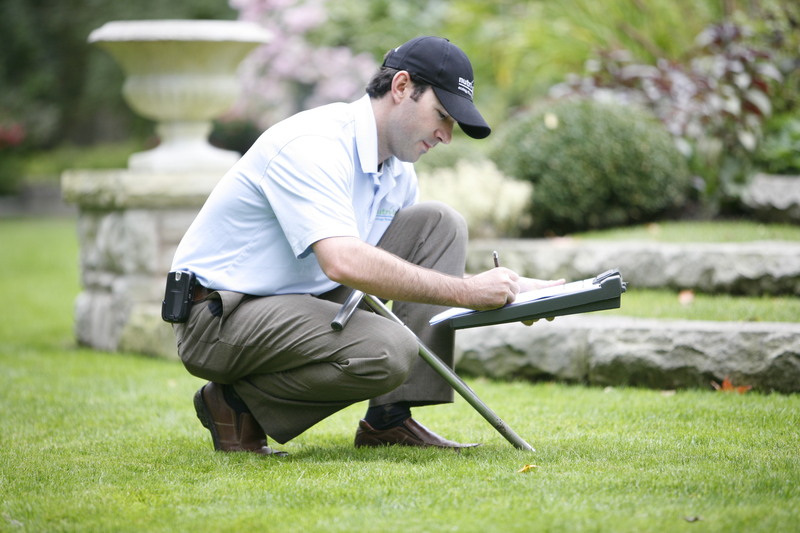 Aside from environmental conditions, managing a home lawn by way of maintaining the recommended maintenance practices, improving the growing conditions, selecting resistant grass species, and by managing all turf inputs greatly reduces disease incidence and susceptibility. There's not a lot to like about turfgrass diseases, that's for sure. 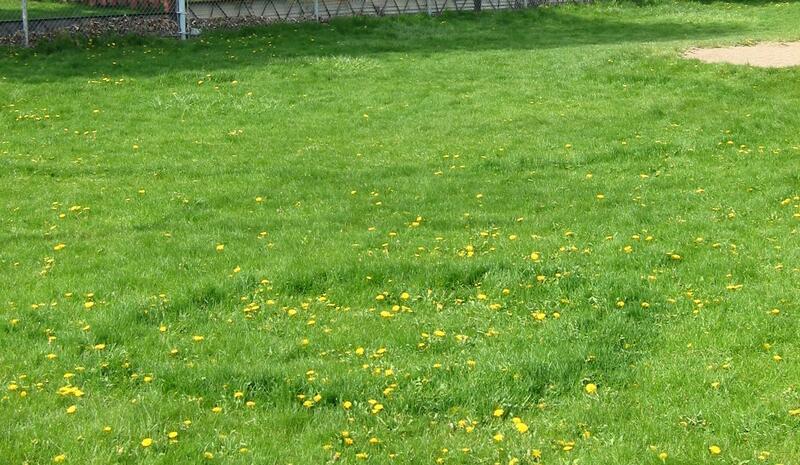 They're unsightly, invasive, and can be detrimental to the health of the lawn if not addressed properly. Read on to learn more about common fall turfgrass diseases. Red thread disease affects all cool season grass species, but perennial ryegrass and fine fescue are most susceptible. Red thread can easily be identified by the observation of red/pinkish coloured branched or stranded sclerotia extending between leaf tips. This sclerotia appears very similar to that of tiny red threads loosely woven in-between the grass blades, hence the name red thread disease. Turf damage from red thread disease is generally minor with full recovery expected. Rust Disease affects all cool season grass species, but perennial ryegrass and Kentucky bluegrass are most susceptible. Rust disease appears as small flecks on the upper and lower surfaces of the leaf blades. These flecks are yellow to orange to reddish in colour and can easily be rubbed off the surface with your fingers or on shoes when walked across. Rust is considered minor persisting in late summer and into fall with full turf recovery expected. Fairy ring disease is common in all cool season grass species. It is easily identified by its circles or arches of dark green rings. mushrooms may grow in these dark green areas as well. Fairy rings are typically the result of decaying organic matter in the soil such as rotting tree trunks, roots or other debris. The dark ring is created by the releasing of nitrogen in the soil causing the grass to grow quickly and darker green. Learn the ins and outs of your lawn this fall. From wicked weeds to pesky insects, there are a number of obstacles you might encounter on your way to a luscious lawn. Visit our website to learn more.